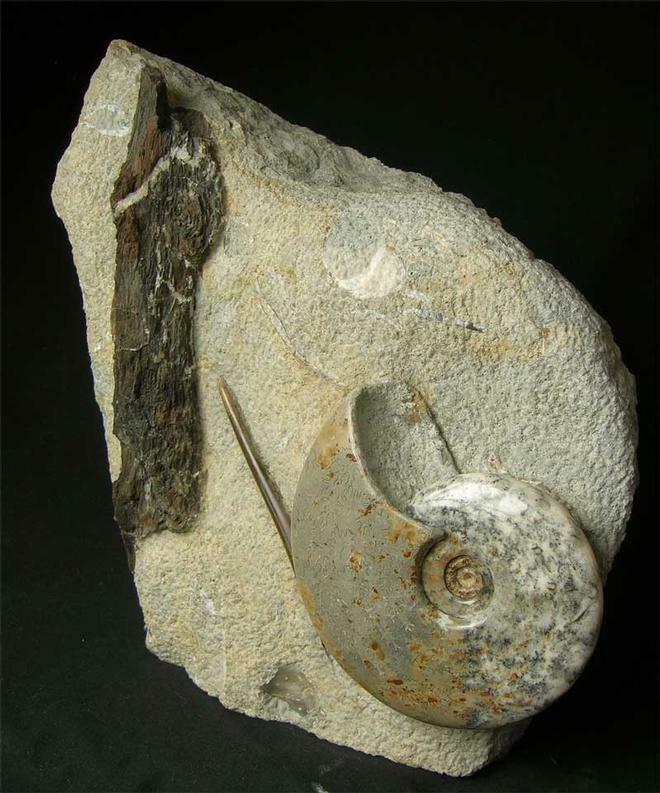 This superb display fossil exhibits a solid calcified ammonite with beautifully preserved sutures, a piece of hard fossilised branch with knots and washed up against the ammonite a belemnite rostrum. 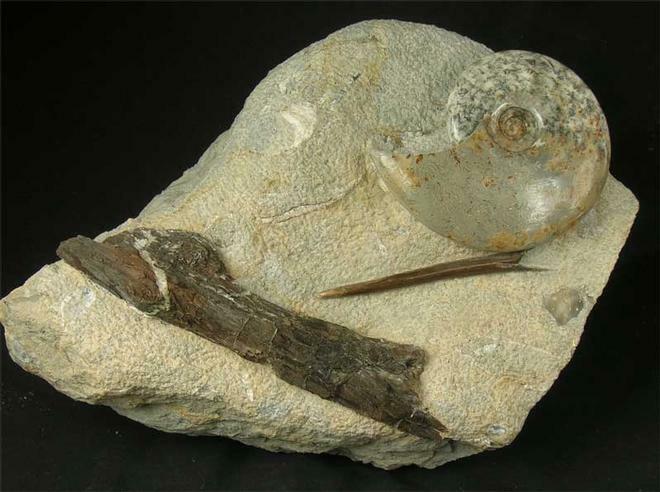 Preserved fossilised three dimensional wood in the Oolite is very rare and highly sought after by collectors. 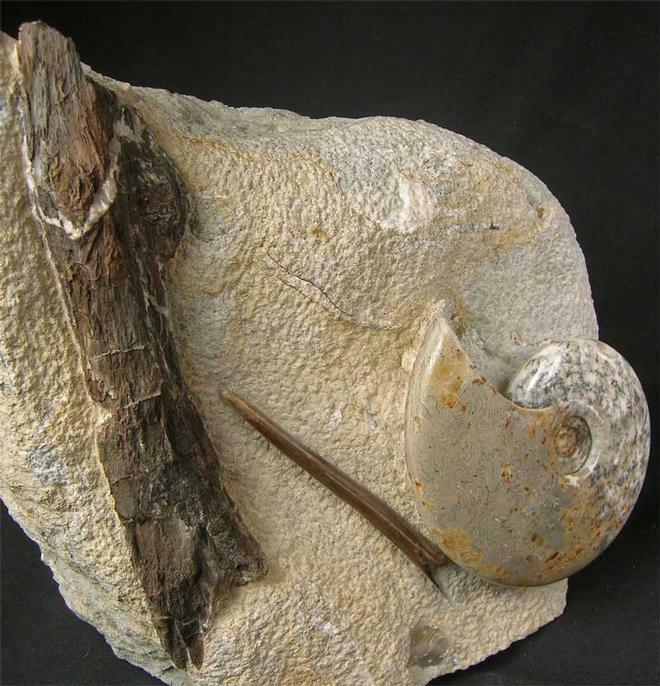 The belemnite rostrum (Belemnopsis cf beyrichi 102mm)is also preserved in solid brown calcite. Wonderful assemblages such as this are not only unique display items for home but sound financial investments for the future, as this particularly locality has been closed and backfilled. The matrix has a cut base for ease of display. 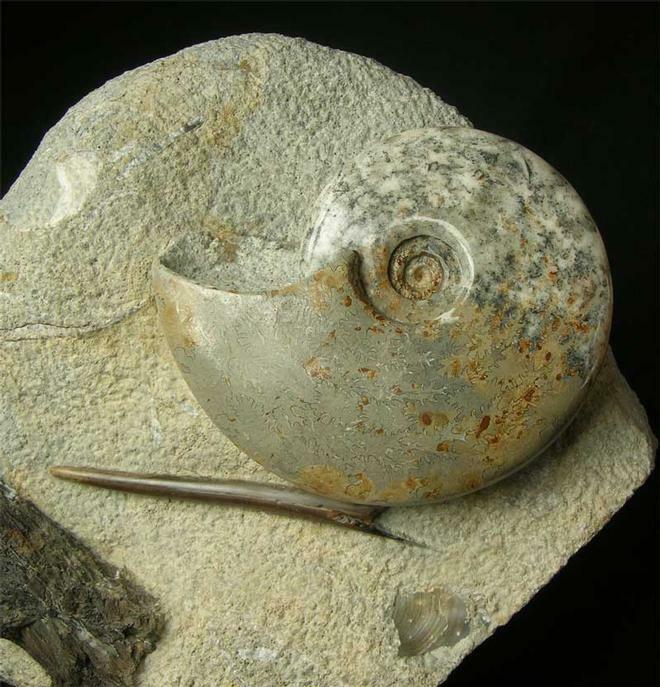 Approximately 173 million years old.